BUYING! X Checkout 35% Off!$19.95$12.95Buy Now! Blues Classics MIDI Loops by Groove Monkee is Soundware (e.g. samples or presets that load into other products). 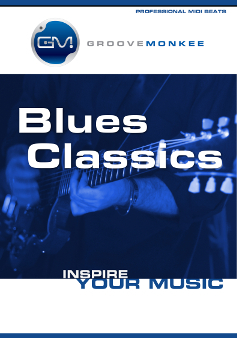 Blues Classics is a huge collection of classic blues grooves featuring 18 "sessions" of 12-bar blues loops. 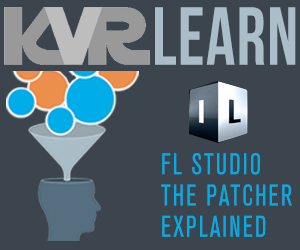 Each session includes intros, hat and ride grooves, fills and outro fills. We've also included a bonus section with extra fills and cymbal swells. Styles include slow blues, moderate to uptempo shuffles, funky blues and song-specific sets such as crossroads, mojo and cross cut saw. 700 Royalty-Free Blues MIDI loops. Played by professional studio drummers. Classic 12-bar blues with intros, fills and outro fills. Beat Buddy PBF File Included. Reviews and audio demos for Blues Classics are available here.